A Hollywood film has recently been released – `Kill the Messenger`.This film is based on the true life of Gary Webb, a journalist who uncovered the illicit CIA drug trade into predominantly Black communities in America. His research found undeniable links between cocaine from Nicaragua, the CIA and street dealers , which started the crack cocaine epidemic in the 1980s. In South Africa communities are destroyed and dying because of drugs, gangs and violence.In West Africa the big boys in the game are the governments. In Central Africa drugs are used to create sociopathic butcherers and rapists out of once ordinary men. People say that Tik ( crystal meth) is worse than heroin or cocaine. (It is called Sisa in Greece. Sisa is really dirty homemade Tik that is destroying impoverished communities in Greece`s broken economy. 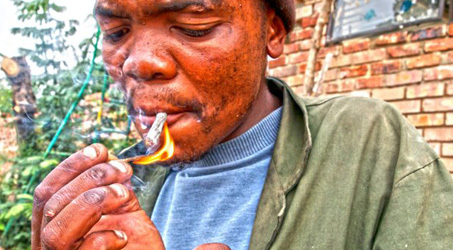 )In the Western Cape of South Africa official 2011 statistics recorded 250 000 Tik addicts. Nyope is another street drug carving its way through communities in southern Africa. In Kano province, Nigeria, 37% of people are drug users.The cocaine market in West Africa is booming. THIS IS NEW TO AFRICA.And it is being done deliberately. Gary Webb uncovered a deliberate creation of a market for cocaine.In order to establish a drugs trade you need to create a demand.You need to create a market of dealers and addicts.This then creates huge profits for the drug-lords while destroying the fabric of society.The crack epidemic was designed to halt the rise of Black Consciousness in impoverished communities in America.